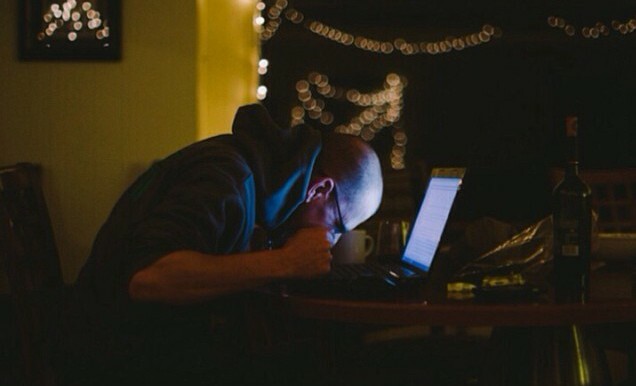 I'm a science fiction and fantasy author, freelance editor and stay at home father of three. Check out this site for sample chapters of my fantasy novel Hunters, as well as writing tips, parenting adventures and occasional words of wisdom. I know what you’re thinking. A game about building and maintaining a power grid? That’s it? You: Does it include bribing officials for permits? You: Is it during a war? You: Is Gojira, zombies, a plague or an imminent asteroid impact involved in any way? Yes, Power Grid sounds dumb. 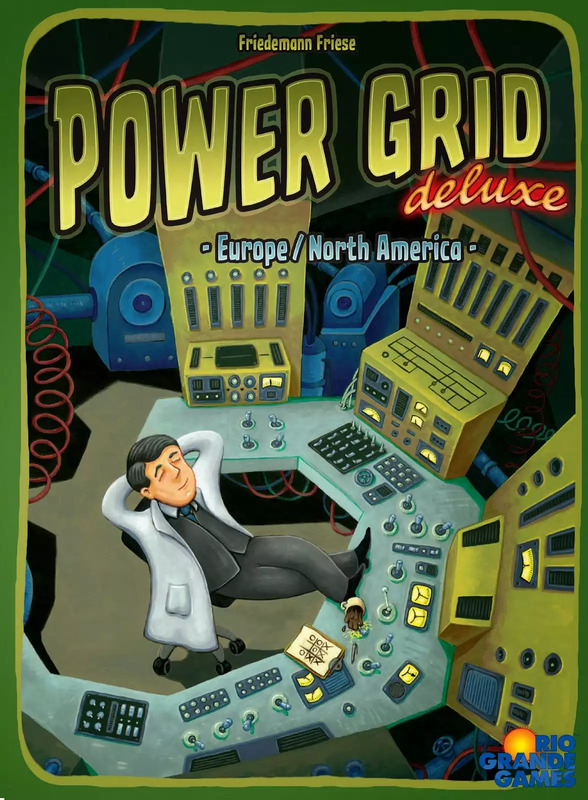 But for all you board game players out there, Power Grid is like Ticket To Ride and Puerto Rico had an illegitimate baby who was raised on Wall Street by his wacky uncle Small World. Granted, I have played the game only three times. And each time we have discovered major rules we didn’t use or screwed up in previous plays. But each game got better and more fun. 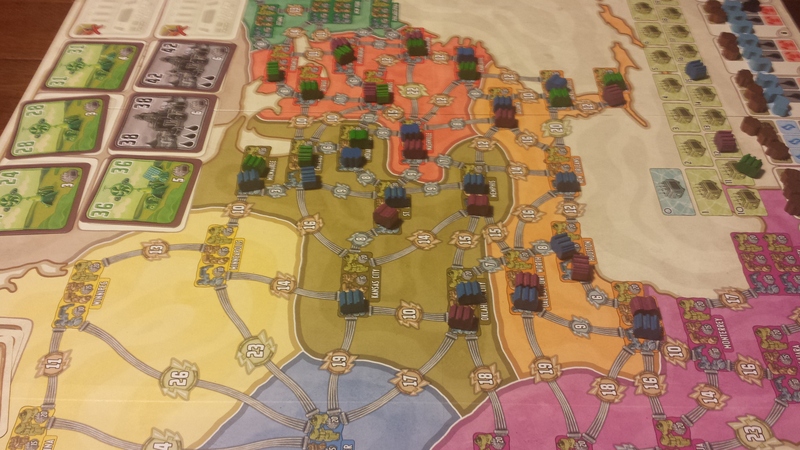 Power Grid is a game for 2-6 players and takes about two hours. The players pick connected regions of the US equal to the number of players (forcing interaction between players a la Small World) and bid on the power plants in the marketplace. Players buy coal, natural gas, oil or uranium based on what runs their power plants (and what is cheapest) and build generators in cities to form a power grid. Then they spend the resources they bought and earn money for how many cities they can power. The winner is the first player to power a certain number of cities. This game is all about money and resource management, bidding up opponents for power plants they want while getting yours on the cheap, nabbing cheap resources, blocking opponents by connecting strategic cities, and manipulating the turn order to be first to bid, buy resources or place generators as your needs demand. There is a load of strategery at each stage. Yes, Smithers, we’ve taken over every Springfield in the heart of America! The best thing about this game for me, beyond the abundant ways to strategize, is there are no dice. The only randomness is the beginning turn order and the generators in the market. It mixes the best parts of so many games that I can’t help but love it. With the deluxe edition, you also get the Europe map on the other side of the board and nice wooden pieces. We have also had players as young as ten play and do just fine. At first, the game may seem daunting with its complexity. But after you get the hang of it, it moves really fast and is super fun. I highly recommend it for your next game night!